Beach House Cape Cod, USA; Elevation Study. 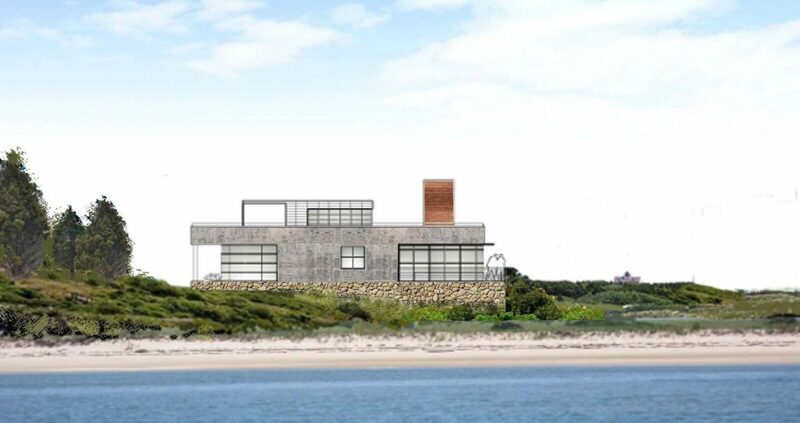 This design proposes to shore up and reinforce an historic existing coastal substructure as the foundation for a new house which contrasts modern building materials with traditional Cape Cod building materials. The design utilizes wood and steel construction with hurricane impact resistant steel windows , cedar shingles, and a reinforced „cape cod red “ brick chimney.